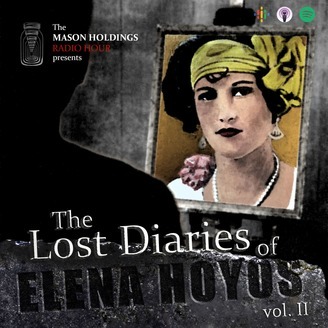 The Mason Holdings Radio Hour, an intimate experimental podcast in the spirit of good old-fashioned radio, launches on April 1 with 'The Lost Diaries of Elena Hoyos.' Mason Holdings' latest show, 'Consumption,' was inspired by the disturbing true story of Carl Von Cosel and Elena Hoyos. As part of the development of 'Consumption,' we researched Elena's story - reaching out to historians and, ultimately, her family. In the process, we discovered something remarkable - her lost diaries. With permission from her family, who want her real story told, Mason Holdings is honored to share selections from her diaries, starting in 1925, when she was still a healthy teenager, up until her death in 1931. 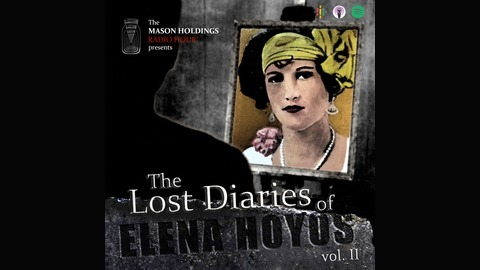 Episode 4 of Mason Holdings' new podcast, The Lost Diaries of Elena Hoyos. Episode 2: What Will Happen to Me?